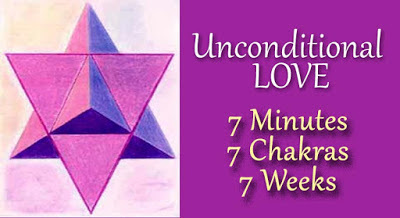 Did you miss our Unconditional Love webinar? Please note that sometimes soundcloud has music at the end of the recording. We cannot control that. Therefore, please listen to the recording download or click the HERE button just above this message. Thanks so for your comments so that we can address any problems that occur. Unconditional love to you all, sue. Blessings, we will now share the third meditation for your third Chakra. Align yourself for this meditation by taking a long slow deep breath. In fact, take a moment to close your eyes and breathe in one, two, three, four –-- hold, hold that inner Light. Slowly breathe out –-- one, two, three, four, five, six –-- and relax. and relaxes down as you exhale that breath. that breath, and hold that Unconditional Love that flows with that breath. And as I focus on my third Chakra, I realize that this is the Chakra of my Solar Plexus, of my own personal Solar System of my own Inner Sun. And as I feel that power within, I allow that power to pull in the Unconditional Love that I now send directly in to my Solar Plexus – into that area which also rules my stomach. This area, my stomach, is where I digest life. AND what I know, what I feel, what maybe I didn’t realize before, what I am digesting now is the Higher Light that is coming in to this innate portal of my Solar Sun of my third Chakra. I feel that vortex as it opens with my Unconditional Love. As I send Unconditional Love into that Vortex and feel how it opens more and more. my daily thoughts for daily life that are ruled by my third Chakra. from my personal essence to my Golden Essence of Soul. I feel that power within of my Soul. I open that portal, so that my soul can come into my daily thoughts. In my daily thoughts I can feel my own inner power. with the Unconditional Love that I AM holding for my self. or when I experienced that I had power within myself. And I take a long moment to recall a time within my life where I felt like someone else had power over me and it hurt, it wounded me, it made me angry or sad or frightened. But now I have learned to Love Myself Unconditionally and I feel that power within. And with that power within I go to that person, I go to that place, or I go to that situation in which I once felt that that situation or that person had power over me. to that very person, place, situation or thing that once hurt me. I can heal my wounds and move into my full power within. PETALS: There are ten petals in the third chakra which, when spinning, may appear like a vortex. In numerology, the number 10 is reduced to the number 1. Number one symbolizes the beginning, as “In the beginning there was the word,” and every word begins with a thought. Even if it is unconscious, thought precedes communication. The third chakra also represents our communication with the fourth dimensional astral world, which is too often unconscious. When we have gained the “will power” to choose our behaviors, actions, words, and attitudes, we are consciously in control of our life. On the other hand, if our behavior, actions, words, and attitudes are not consciously chosen then we are reacting rather than responding. Then, do not feel like we are “in control” of our life because we were unable to chose a response that empowers us. The third, solar plexus chakra rules the animal kingdom of which humanity is said to be at the top of the hierarchy. This determination is made by the size of our cortex and our supposed ability to control our own destiny. However, that control is not based solely upon the size of our cortex. Whales and dolphins have larger cortexes then us, and dolphins actually have more speech mechanisms than humans. However, whales and dolphins have been at the mercy of mankind’s violence for many years. SOCIAL TIMELINE: Anthropologically, the third chakra represents the civilizations of about 5,000 years ago when the great empires of Egypt, Syria, Greece, and Rome existed. These societies became dominant through "Power Over” their opponents. The rise and peak of these civilizations marked the expansion of humankind’s cognitive abilities. Within these civilizations, at least some members of the society had “time” to pursue something beyond survival. Multiple Gods, and Goddesses, as well as animals, were worshiped by most of these societies. DIMENSIONS: This chakra represents our third and fourth dimensional bodies. The third chakra is the gateway to the fourth dimension. Unfortunately, this “gateway” is often first experienced in our bodies by uncomfortable feelings in the third chakra area of our bodies. In order to avoid being a victim to the psychic world of others, we must gather our own fourth dimensional power. When we have come to peace with our inner world, as well as the thoughts and feelings that originate in that world, we will find our true power to “stand alone” in the outer world. How can a child learn about “power within? ?” How can a child learn positive core beliefs like: “I am powerful, I am smart and I am lovable”? The parent can “act like” they are loving, “act like” they are not afraid, and “act like” they are happy. However, the child still “feels” the truth because he or she is still awake to his or her Astral Self. Unfortunately, by the time the child has learned to close that gateway, the damage is done. What can a parent do? A parent can go back into his or her own childhood, find the cause of their own negative core beliefs and heal them. Then the parent does not have to “act” happy and loving. Then, the parent can “be” happy and loving. We cannot give what we do not have. If we do not have money for our self, then how can we give it away? If we do not have love for our self, then how can we give it away? Our society has seen the power in money and will do anything to get it, but how many of us have truly experienced the power of love, love from our SELF to our self. How are you enjoying the process? Are you sensing any transformative changes? Share your comments below so we can continue to build unity consciousness. New to this process? Start from the beginning. You can also follow the full process on my website. Thankyou with deep gratitude for these meditations. As I enter the third week the momentum of unconditional love is building rapidly causing big changes, using the power of ME I am choosing to perceive these changes with love enabling me to deal with them no matter how difficult they may initially present themselves to me. We are love we are light. which should resonate to The One ..
with no specific expectations on how when where it will happen ..
blessings and ...............................bliss ...(our original basic natural state of consciousness ...once spontaneous and hidden deep within now )..
Hello everyone, I wanted to put up my personal response to this chakra. My Third Chakra was always the most delicate area of my body, and i always had to eat very carefully and had many stomach issues. I realized as I did this meditation that a primary issue in my life has been that of "power within vs. power over." I did not realize this fact until several hours after I recorded the meditation, as I was "busy with life." Then when relaxed in a later meditation I felt the inner experience of feeling as if I did not have enough "power within" to have "power over" my own life. I suffered from depression until I was well into graduate school for being a psychotherapist and had to have a LOT of therapy. The therapy absolutely helped, but I think the primary cure was that same time, I began to journal the Arcturians. It was only when I began to recognize my own Power Within that I realized how much my depression had been because I had not yet discovered my own power within. I know that there are many layers of this "power within" that are waited to discovered as I repeat this meditation every day for 7 days. Blessings to you all, and thank you so very much for contributing your stories and experiences. It is in the manner that we are building Unity Consciousness. Thank you for putting together the campaign of unconditional love. I am really enjoying the mediations. I'm not getting your emails till Wednesday but I'm going on to your site and listening from there so I am part of the group. Chakra One I could feel another opening which I have being waiting for so long it also helped me with the past-life which was the one before I arrived in this now. It healed me and the partner which is my partner in this now. Chakra Two I loved this my inner child and me walked hand and hand up the stairs and we became one. Very powerful really looking forward to this weeks. It is helping me with my purposes in life. I POSTED THIS ONE FROM MY EMAIL, SO YOU ALL WILL KNOW THAT YOU CAN START ANY TIME. Thank you so much for your follow up email. Yes, I did enjoy the webinar. I enjoy your meditations and appreciate the accompanying explanations. Your meditation is the last thing I do before I go to bed. Great sleep and always wake up happy. My aim is to achieve exactly what you said on the webinar: balance. I look forward to the next chakra meditation. Thank you for your kindness and for be so willing to help us during this important time. Thanks for sharing this in detail I love you !! I have been reading the large amount of material you kindly directed me to. Not finished yet. Thank you very much! It's helping me. Thanks for the meditations Sue and the Arturians. I listened to the meditations for the first and second chakras about 3 or 4 times each. For the third chakra I missed the first time, but felt really good tonight after I'd finished listening, and feel I can listen once a night from now on (your morning is my night on the same day, since I'm in a timezone roughly 12 hours ahead in Western Australia). I theel this chakra is important for me. Yesterday when I went to a psychologist appointment and asked if I had gained weight, my psychologist said yes, but the extra weight suited me very well. I have a feeling that I have gained a new body shape/weight level so I can model that your weight doesn't determine your worthiness. All the way home, and I feel from then on, I have been radiating LOVE into the all that is, everything that is. And it feels wonderful. Sue and the "Arcturians". =) -Steven. Thank you Sue for the responses and the beautiful much needed unconditional love chakra meditations. It is helping me each morning to wake up and aids to not drown in the 3d world. The intensity of the 3D world, all that is running through me. Great empowerment! Very powerful energy flowing through my being during my daily activity! I unconditionally love myself, humanity, Mother Gaia more and more! High Gratitude Sue and the Arcturians!!! Like the meditation with chakra 2, I also had a bit of diarrhoea with the chakra 3. This meditation has been a bit more peaceful, triggering less strong emotions . But since starting meditation 3 I'm feeling extremely tired. A fatigue of some sorts. It seems like that the chakra 3 meditation has also triggered quite a lot. I am finding the the 3rd chakra more challenging, but much more rewarding. Before I start, I feel a discomfort in my solar plexus and also anger. An issue arises, I acknowledge it, unconditionally love it and feel my power return, then direct it to the person or situation. Wow! it is amazing! For the last few months I have been experience bloating in my belly. But have noticed since listening to the chakras it has reduced and is back to normal. Thank you so much Sue and The Arcturians, these are very powerful exercises for me. Wow! Incredible chakra explanations - gratitude x. This third chakra meditation feels good. It brings up memories of the past that I have tucked away and kidded myself that I have dealt with them. Somehow my body always warned me not to give my power away, no matter who tried to take it from me. When someone tried to have power over me my body felt as if I was being pulled in every direction at the same time. The only way I could stop this was to say NO, I will not do it. I did feel the need to protect myself. So I build an invisible wall around me and I harden myself from the inside. It is only in recent years that the wall of protection is slowly being broken down. These meditations of unconditionally loving myself are taking down the last pieces of the wall. I felt myself becoming soft inside with the 1st chakra meditation, and each week I feel myself becoming softer. It feels like the me I was in my childhood, it feels like the real me and I like that. What great wisdom our Arcturians friends have and how selflessly they share that with us. Thank you Sue and big thanks to our dear friends and teachers, The Arcturians. 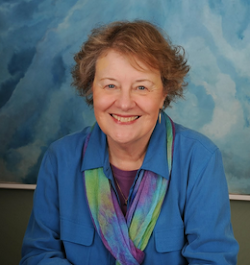 PS, thank you for sharing your personal experience since it really helps us to recognize our commonalities, as well as see the many ways in which we are each impacted on a unique, personal level. This is a really great post! I feel more and more reconciled to my inner self with each meditation. This time I thank You & the Arcturians for this 7x7x7=343 secure pathway meditation minutes in which We can hold on Our ascencion path with Gaia. We experienced the Solarplexus in a new way like a balance system between the solar sun & the black hole on the other side. Both have its right of existence and are absolute necessary in particular. In the NOW of the ONE they are one! Incredible!